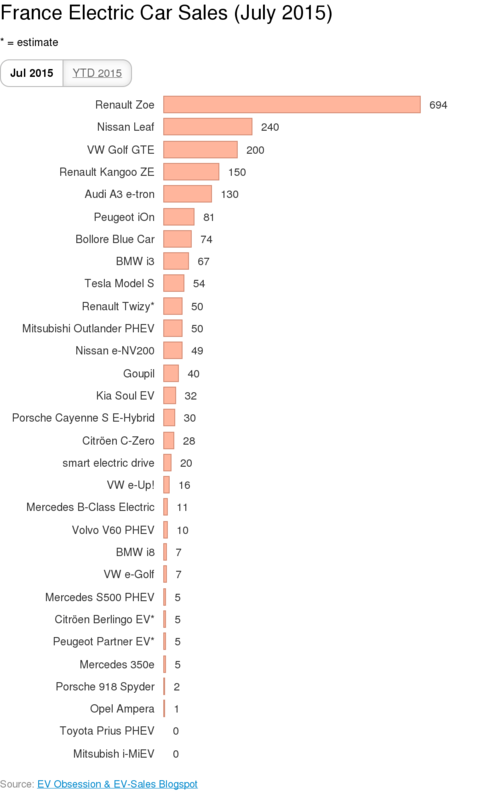 The Renault Zoe is still top dog in France. Actually, it’s absolutely crushing it. The homegrown Zoe has 42% of the electric car market in France from January through July, and took 36% in July. No other car comes close to it. After test driving the Zoe a week ago, I can certainly see why it’s such a popular buy. It’s too bad Renault doesn’t offer it in the US. 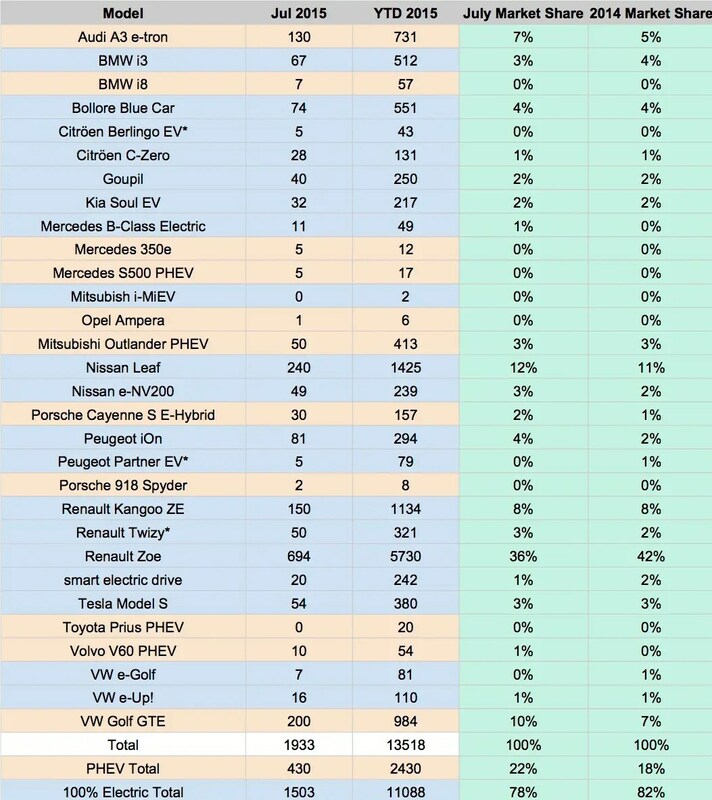 After the long drop from the top, the Zoe’s cousin, the Nissan Leaf, sits at #2, taking 12% of July EV sales and 11% for January through July. The Volkswagen Golf GTE took the bronze in July, but sits at #4 for the year to date. Meanwhile, the Renault Kangoo ZE (a van) is #3 for the year to date but fell to #4 in July. The Audi A3 e-tron, which is built on the same platform as the VW Golf GTE (so has the same performance and range), was #5 in July and January through July. After the A3 e-tron, sales fall off a lot again.